Let’s examine the high level 101 basics of hydrocarbons, stratigraphy, and lithology nomenclature in the Michigan Basin. 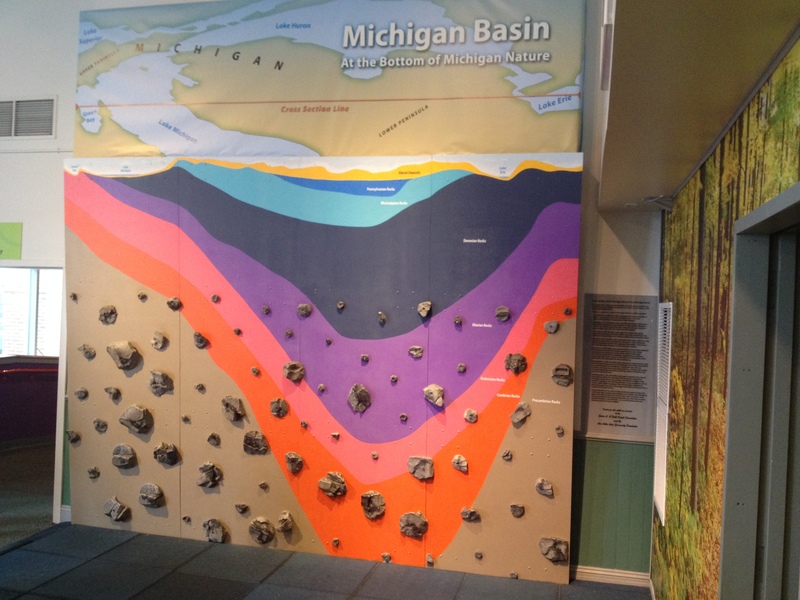 In Michigan, like everywhere else, we have different layers of rock beneath our feet. Trapped inside the rocks beneath our feet are hydrocarbons like oil, gas, and coal. Most of the energy produced in our history and in the world today comes from these subsurface hydrocarbons. Hydrocarbon recovery is dictated by the geologic formation and subsurface structures where it has accumulated. Petroleum geologists look for areas where they think hydrocarbons might be trapped in a reservoir. The rock in the reservoir must have enough permeability and pressure to get those hydrocarbons to the surface through a well bore whence they can be sold for a profit. 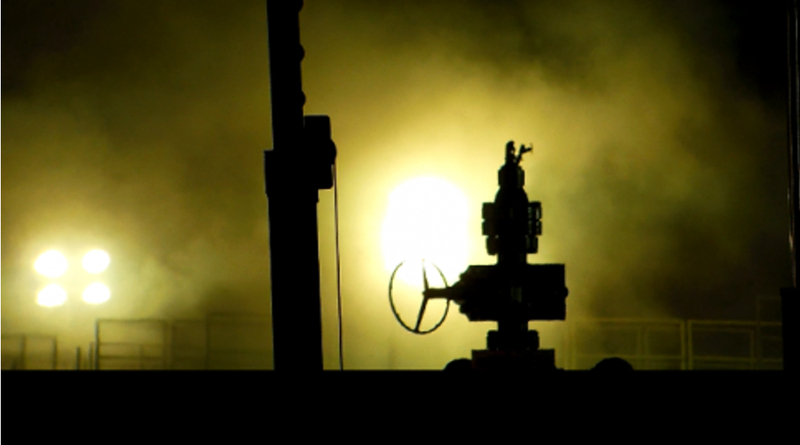 In Michigan, oil has been produced since the late 1800’s and gas has been produced commercially since the early 1900’s. Michigan had significant oil activity in the 1930’s and 40’s and then a lull through the 50’s. Activity again picked up in the late 1960’s in the Niagaran reef by the big boys like Amoco, Shell Western, and ExxonMobil because of production capacity discovered while drilling Antrim wells. 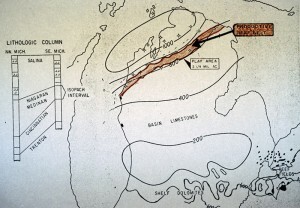 Amoco, Shell, and ExxonMobil were successful in the Niagaran reef trend in the northern part of the Lower Peninsula and activity intensified heavily in the 1980’s. As the economy stagnated and oil prices fell later in the 80’s, the big boys left Michigan and the lower 48 states to focus on larger proven oil fields like those in Alaska, off shore fields, the Middle East, and Africa. 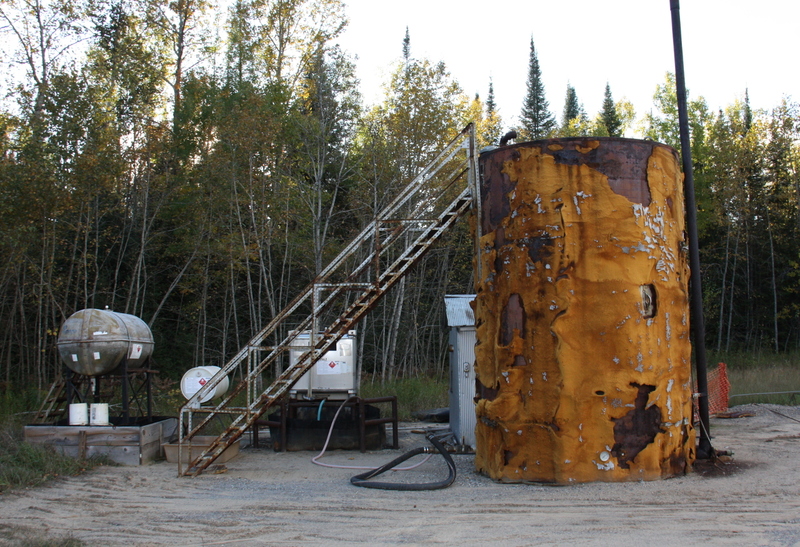 In 2010, new drilling and completion technologies made Michigan’s Collingwood shale and the A1 Carbonate the target of some of the largest international oil & gas companies in decades and again brought them back to Michigan to test these formations. Fig. 1 – Michigan Surface Outcropping with Glacial Layer Removed. Imagine Michigan’s glacial layer like a layer of sod on your front lawn. Now imagine if you were big enough and strong enough to peel that layer of sod back over our entire state. This image is what Michigan would look like under that sod. What is a hydrocarbon, how was it formed, and how did it become deposited in the Michigan Basin? A plant is like a bunch of living natural solar panels. The leaves of a plant capture solar energy and use it to grow. Millions of years ago, just like today, plants and seaweed covered the earth’s surface and oceans. Through the eons, surface layers like ours today, came and went as plates drifted and volcanoes covered areas with lava, ash, and toxic sulfuric smoke. Ice ages came and receded and meteors struck the earth’s surface. Deposits formed over dead plants and animals and new life emerged on the earth’s ever-changing surface and so on. Layers have come and gone and accumulated like this for millions of years and some species have survived and some haven’t. As layers compounded upon one another, organic matter decomposed and was subjected to heat and pressure from the layers above it. The plants, animals, and seaweed decomposed and naturally transmogrified into different and new chemical constituents like coal, oil, methane, and other hydrocarbons over the course of millions of years. These hydrocarbons migrated upward and some got trapped and formed a reservoir under an impermeable layer of rock. Hydrocarbons were deposited in the subsurface of Michigan and around globe this same way for ages and ages. This has been nature’s way of turning solar energy into life and then into oil, gas, and coal that we use today to power our stuff. In this regard and in essence, all energy is solar energy. 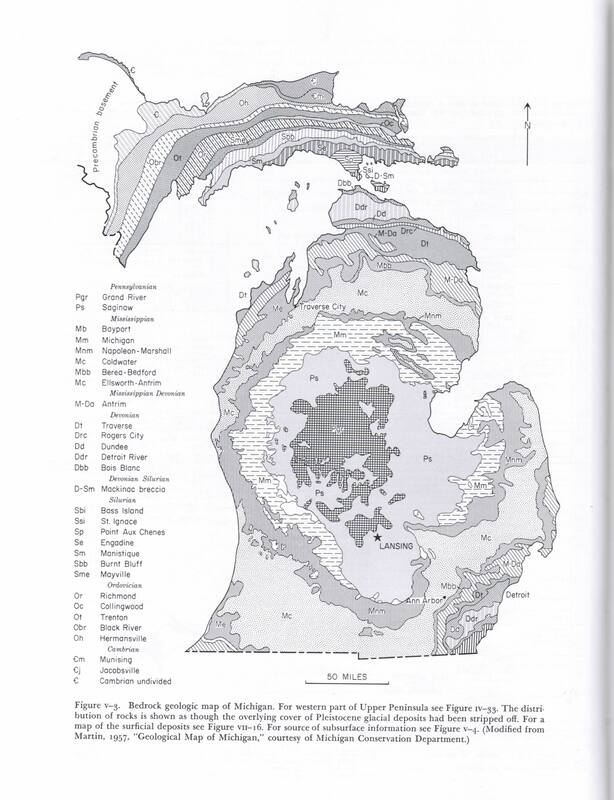 So just what does the Michigan Basin stratigraphy look like? And, where are hydrocarbons trapped and where have they been recovered in Michigan’s oil & gas history? Fig. 2 – View of Michigan Basin if it were sliced like a cake. This view shows Michigan’s “stacked bowl” stratigraphy very well. This photo is from the Ann Arbor Hands On Museum. Let’s look at the general layers in the Michigan Basin, their shape, and their size [Fig. 1 &2 (top view & hands on museum)]. The easiest analogy to use to understand Michigan’s basic layers is the stack of bowls analogy [Fig. 2]. On the top layer of Michigan, not counted in the stacked bowl analogy, we have glacial deposits that make up our current surface layer. Just under the surface though, the first and smallest bowl in the stack is made up of what we call the Pennsylvanian rocks. The next bowl in the stack is the Mississippian layer. The next bowl is the Devonian. The Silurian. The Ordivician. Then the Cambrian. And lastly, the Precambrian rocks form the bottom bowl in the stack of bowls. 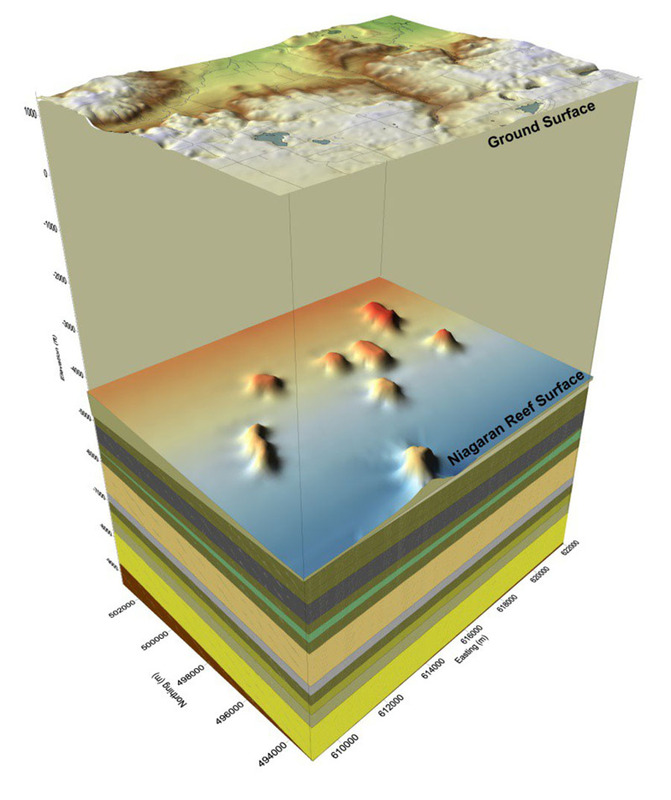 3D image of Michigan Niagaran reef surface. Petroleum geologists use 3D seismic equipment to find those little bubbles to pop because they’re filled with oil. Hydrocarbons exist throughout all of these basic layers in our bowl analogy but things like structural characteristics (e.g. domes, anticlines, and folds), permeability of the rock and pressure determine whether the hydrocarbons can be recovered at the surface through a well bore. Petroleum geologists use seismic equipment on the surface to listen to sound waves as they bounce off of the rocks below our feet to try to find these reservoir structures that can be tapped for production. Powerful computers convert the acoustic data recovered from this seismic equipment into three-dimensional models of the rock that help petroleum geologists pinpoint where to drill their well bores. It’s important to remember and reiterate that geologic formations dictate everything when it comes to recovering hydrocarbons at the surface; it’s all about the rock. Hydrocarbons are everywhere beneath us, but recovering them up here at the surface can be another story all together. 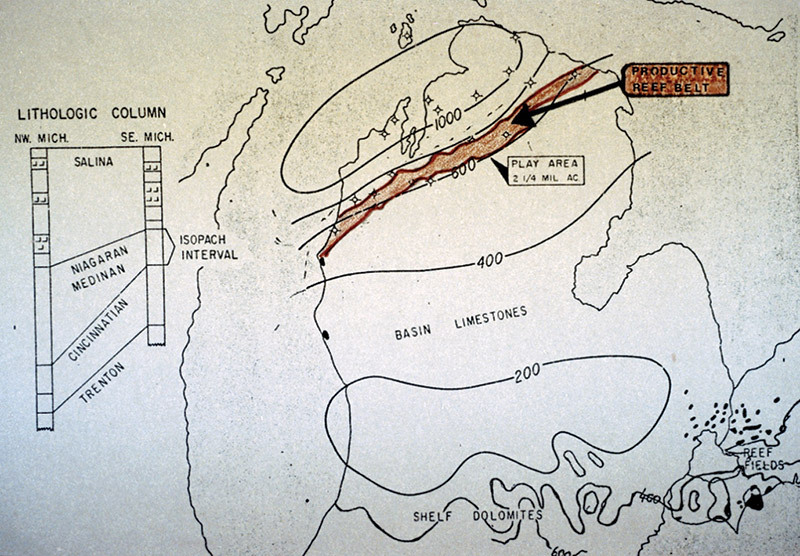 Michigan’s Niagaran reef belt, the most productive rock for crude oil in Michigan’s history. No other formation will ever prove as prolific a producer. Between 75% and 85% of its oil remains trapped in the rock. All Michigan subsurface geologic rock formations contain hydrocarbons. Some have produced hydrocarbons for profit and some have not. The most successful formation and the most prolific producer of hydrocarbons in Michigan is the Niagaran formation, which is a Silurian age rock. The Niagaran has produced over 490 MMBO and 2.9 TCF of natural gas. These impressive numbers only represent about 25% of the hydrocarbons in the reservoirs tapped as the complex heterogeneity of the formation retains about 75% of the hydrocarbons as unrecoverable. We will go in depth into enhanced oil recovery (EOR) techniques like water flooding and gas injection used to go after this remaining 75% of the hydrocarbons remaining in the formation. In future posts we will talk about the hot topic of carbon dioxide sequestration which goes hand in hand with gas injection as a form of EOR and how operators, environmentalists, and politicians are seeking to divert sending CO2 into the atmosphere and simultaneously recover some of the additional hydrocarbons that remain trapped in these conventionally depleted reservoirs. 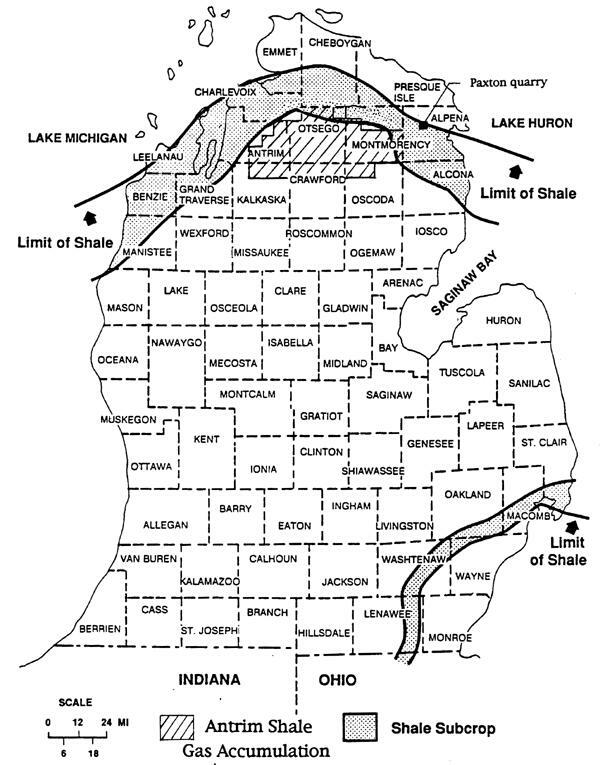 A map of Michigan’s Antrim shale. Over 90% of Antrim wells are successfully drilled for profits. The average Antrim HF completion will use under 10,000 gallons of water. 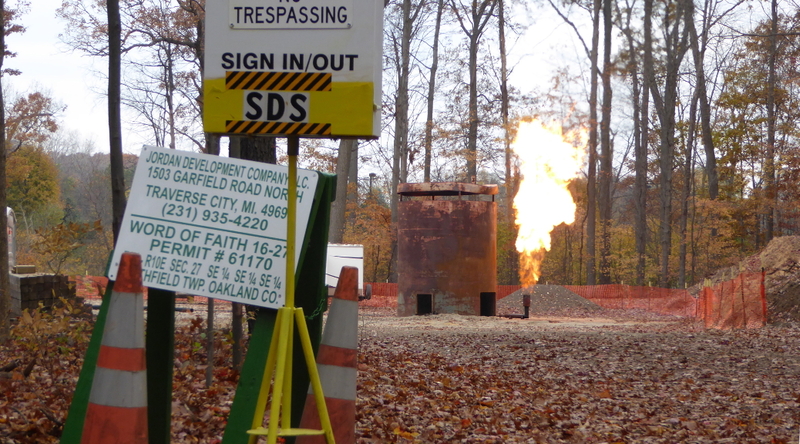 Another formation that has very successfully produced hydrocarbons is Michigan’s Antrim shale. 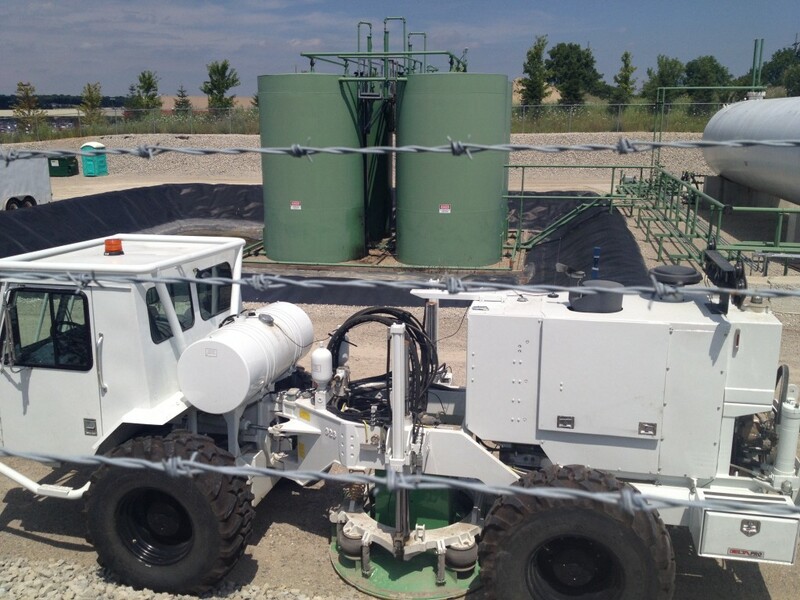 Hydraulic fracturing (hereafter HF) has been the completion technique used again and again to stimulate Antrim wells drilled in Michigan. The play’s viability was proven in 1965 in Otsego county. Much talk about HF has taken place since high volume hydraulic fracturing (hereafter HVHF) started in Michigan in 2008/2010. Ironically, formations that require stimulation by HVHF, like the Collingwood, have been described as something similar to Antrim HF and something that can bring jobs and more energy to Michigan. In fact, data is starting to demonstrate the exact opposite is true for both of those claims and is a major reason why this website and organization was completely changed and overhauled when HVHF came to Michigan. We even have another operator, Marathon Oil, that may perhaps attempt to test the Collingwood even though it has already been proven uneconomic with the data we have thus far. We believe this will lead to a diminishing work force in Michigan’s oil & gas industry. The only viable hydrocarbon sector of the economy in Michigan’s future looks to be centered on the Trenton & Black River formations in the greater Jackson area and Consumers Energy operated natural gas storage fields throughout our state. We never want to see good hard working people out of jobs. We have a responsibility to our hard working Michigan citizens to develop more stable energy jobs as cleaner forms of energy prove themselves more economical than traditional hydrocarbon energy production. Other Michigan formations like the Dundee, the Traverse, the Prarie Du Chien, the Trenton, the Black River, and more have also successfully produced hydrocarbons for profit in Michigan. Our map at www.respectmyplanet.org is the best and fastest way to search for information about wells drilled into these and all formations in the Michigan Basin. We have organized Michigan data obtained from the MDEQ in a way that you can find what you’re looking for on the map very quickly and link to additional information or add your own. Our maps are constantly improving as we add new search features and find interesting data relations. Photo of seismic equipment on West Bay’s Livonia CTB pad right behind the AMC20 movie theatre between 7 & 8 mile on Haggerty Road taken July 2014. Hydrocarbons that are economically recoverable in Michigan are nearly exhausted. The best analogy about hydrocarbon recovery in Michigan is this bubble wrap analogy: Do you remember when your mom would buy something when you were a kid and it would come wrapped in bubble wrap? You didn’t care about what she bought, you just wanted to pop those bubbles. Because of primogeniture, your older brother got to squeeze the bubbles first to make a little popping noise that would eventually make mom regret she gave him the bubble wrap in the first place. The noise would come fast and easy at first because no bubbles had ever been popped before and there were bubbles everywhere to be squeezed. But once popped, the bubble was spent and your brother would have to move on to other areas to find bubbles that had not been popped. Eventually, he’d get bored trying to find a bubble to pop and consider the bubble wrap spent. He’d give the bubble wrap to your 2nd oldest brother and he would have to work harder to meticulously grid search and possibly find some stray bubbles to pop. Eventually, my middle brother would get bored too and the bubble wrap would come to me, the youngest of 3 brothers. There would be no more bubbles left to pop by the time I got the bubble wrap, so I would make sure it was disposed of properly. Hydrocarbon recovery in Michigan is similar to this analogy over the long-term future horizon. Only 20% of natural gas consumed in Michigan is produced in Michigan and the other 80% we consume comes from the panhandle area of Oklahoma and will soon come from the Marcellus as natural gas infrastructure there grows rapidly toward our Great Lakes ports and the eastern sea board. The best Michigan hydrocarbon deposits were expunged by the big companies who are not our brothers or sisters but simply businessmen & businesswomen trying to turn a profit. With the biggest profits gone, so too are the biggest companies. Mid size operators, like the middle brother, will continue find deposits here and there for years to come and attempt to drill them for their own profits. RMP is here to act like Michigan’s youngest brother wanting to again make sure things get cleaned up properly so Michigan can be better off for future generations. We want to make sure contingencies and reserve funds are saved and appropriated to clean up the aftermath of an industry that will eventually disappear like a traveling circus. To say we weren’t a part of this circus is disingenuine. To chastise oil & gas companies as evil is not fair either. To stand guard against corporate and governmental malfeasance and to take a hard look at what to do to make sure our water is protected over the long term as drilling activity subsides in Michigan, however, is a noble pursuit. Some of us are not kids anymore and we now have kids of our own. It’s time to put partisan ideologies aside and look at our energy and environmental responsibility issues with a cold steeled determination to make sure we do the right things for the generations that follow us. Energy is neither created nor destroyed, and even though hydrocarbons are a part of our lives and will continue to be, we have solutions to retire oil & gas infrastructure in favor of cleaner alternatives as we move forward. Please follow our oil & gas exploration category posts as we continue to provide basic information and articles about Michigan’s oil & gas history, present, and future. Good to see all the awesome work going into your website, and into the data-wrangling that you do. Thank you, friend!